The treatment process of selecting and implementing measures (controls) to mitigate or modify risk. RM Studio's risk treatment module utilizes your Gap Analysis and Risk Assessment to present you with a clear overview of the level of risk potential from each threat, while assisting users in prioritizing which risk to address. The Risk Treatment module pulls all of the controls associated with each identified risk and allows the user to assign the risk owner and create a detailed risk treatment plan for mitigation, including assigning the target completion date and the person responsible for validation. The RM Studio: Risk Assessment and Treatment Module provides a centralized system to identify risk, evaluate their impact, probability, and the vulnerability they pose to organizational assets, linking them to mitigating controls and managing their resolution. 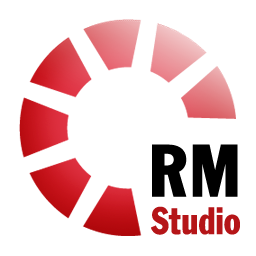 RM Studio is a platform for simplifying, automating, measuring and reporting risk at every level of your organization. Our risk management software exhibits significant flexibility, allowing users to tailor inherent risk factors and risk assessment, as well as risk treatment plans based on organizational needs.